Blue on blue. Water on water. Let us introduce the Italian region of Emilia Romagna. Not only does it produce some of our favourite culinary delights (balsamic vinegar, Parma ham and Parmigiano, to name a few) but it’s also the birthplace of Ferrari, Lamborghini and Maserati; and that’s quite a claim to fame. Taking you from the chic streets of Milano, into Parma via a pitstop at Lake Como, and across to the capital Bologna before finishing in the historic city of Ravenna, this itinerary will easily satisfy your taste buds – but be warned, the breathtaking sights of Emilia Romagna will also leave you wanting more. Italy is synonymous with so many things. Fast cars and world-class cuisine are just two of its calling cards, but it’s also somewhere which stands head and shoulders above the rest when it comes to the fashion stakes. But then, what do you expect from a country shaped like a chic stilettoed boot? When it comes to Italian fashion, it just simply has to be Milan. So, get your Italian getaway off to a stylish start as you fly into this northern city and spend the next two nights living the life of luxury at the luxurious Magna Pars Suites. A city as beautiful as the clothes that line glittering shop windows, spend the next few days exploring the picture-perfect Brera district, the modern masterpieces of Porta Nuova as well as the mighty Fondazione Prada. 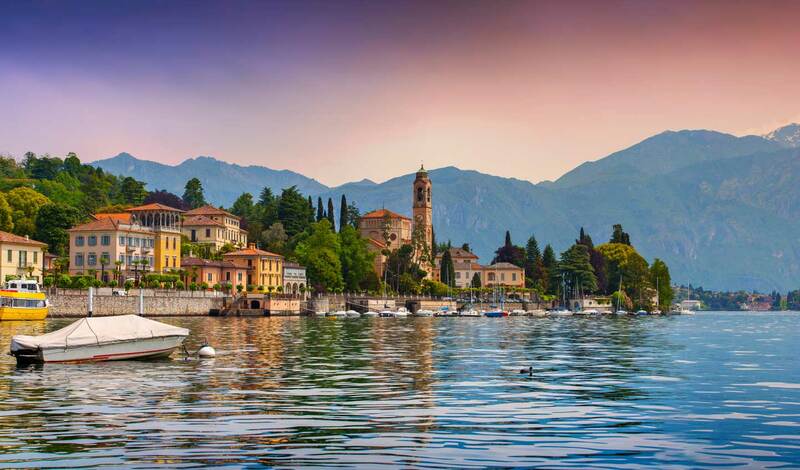 From Milan, follow in the footsteps of Italy’s fashionable jet-set and cruise an hour and a half down the winding roads of Lombardy, the wind whipping through your hair behind the wheel of an Alfa Romeo Duetto Spider, to the picturesque shores of Lake Como. Naturally, we’ll have you checking in at the most exclusive address on the Lake – The Grand Hotel Tremezzo. Spend the next three days exploring these glistening waters as you board a private Riva or Batt boat and explore showstopping villas and postcard-perfect towns before plunging into one of the three gorgeous pools back at Tremezzo. We’ll let you in on a secret – the floating one is our favourite. From Como, it’s farewell to fashionable Lombardy and onto Emilia-Romagna where Italy’s gastronomic side really kicks in. Staying in the region’s capital of Bologna, at the elegant Grand Hotel Majestic, you’re perfectly poised for exploring all that this delicious region has to offer. Spend the afternoon in Parma where you’ll discover the first of the region’s tasty exports: Prosciutto di Parma. Head to Bedogni Egidio, where you can sample authentic meats and learn some of the secrets that make this family business a firm favourite before a cookery lesson with one of the best chefs in the region, learning how to create a true Italian dish of hand-rolled pasta served with Parma’s finest prosciutto. Savouring the flavour on your lips, be sure to also check out the city’s many markets, beautiful palaces, squares and monuments before stopping off at a local tavern for a dinner of traditional fare. From one foodie favourite to the next, spend tomorrow sampling some of the region’s best Parmigiano Reggiano and balsamic vinegar as you venture through the rolling countryside of Emilia-Romagna. Starting at a local cheese farm, learn how this most classic pasta accompaniment is made from raw milk before being aged for a minimum of 12 months to produce its intense and complex flavours. The perfect counter-balance to this rich flavour, you’ll then head to a local acetaia, where traditional balsamic vinegar is made from white grapes aged from 10 to 100 years in a series of barrels to attain the perfect balance of sweet and sour. But this isn’t a tour purely about seeing and learning. To know these delicacies, you have to taste them and so indulge in these famous flavours before returning to your hotel with a newfound appreciation for some of Italy’s most tempting delicacies. We’re sure you’ll find room in your luggage for a wheel of Parmigiano. Back in the city, you’ll have Bologna at your fingertips. From food markets and terracotta master classes to exploring the wealth of basilicas and the world’s oldest university, there is plenty to do and see. Whatever you decide, you’ll be captivated by the city’s cosmopolitan way of life. One thing we’ll ensure you experience is a lesson on how to make a real Ragù sauce (where else would bolognese come from?) like a true Italian; it’s likely you’ll never have tasted anything like this before. 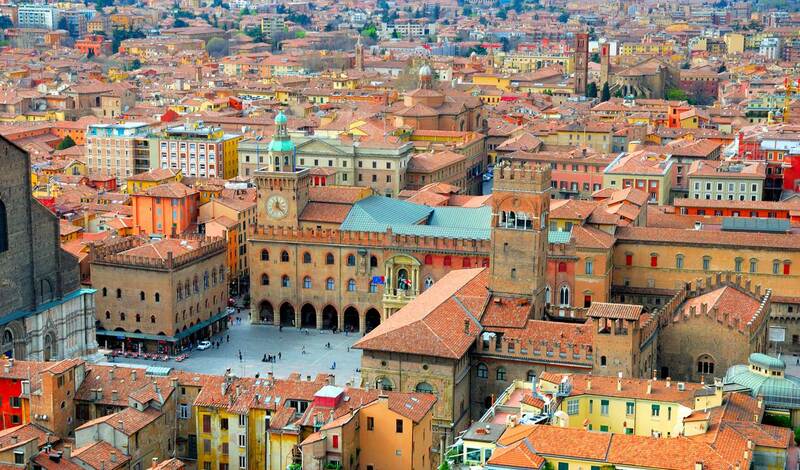 But to really get under Bologna’s skin, or more precisely it’s stomach, you’ll head out on a private street food tour. Along with an expert guide, take in everything from a traditional bakery where you’ll sample the crescent to Beccari’s salsamentaria to sample the history of mortadella – all accompanied by a glass of Sangiovese wine. For the crowning glory, you’ll finish up at the city’s most famous chocolate maker and the place where solid chocolate was invented. Pair this was another tasting (naturally) and we can guarantee you won’t go hungry. And there you have it – quite possibly the most decadent (not to mention delicious) way to experience northern Italy. We told you you’d be left wanting more though, so as you spend your final evening raising a toast over yet another mouthwatering meal, we know you’ll already be planning your return.